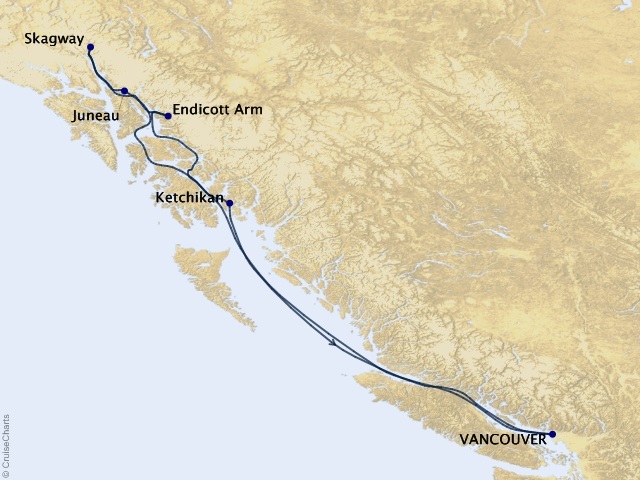 Departing from Vancouver, B.C. on June 25, 2019, prices starting at $3,085. With her sleek silhouette and shimmering elegance, the legendary Crystal Symphony finds a natural home in the world's most glamorous harbors and idyllic ports of call. 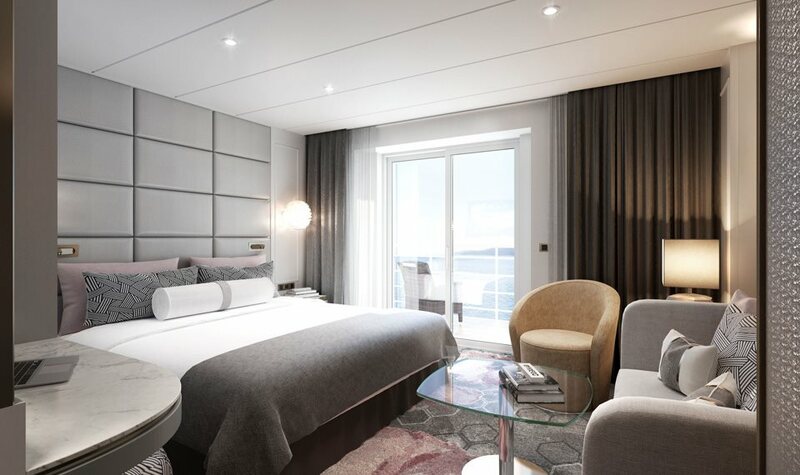 Even after a recent multi-million dollar remodel, the hallmarks of Crystal are still found in every detail–legendary service, abundant space, exceptional quality and unparalleled choices–which has earned Crystal Symphony international recognition as one of the finest ships afloat. 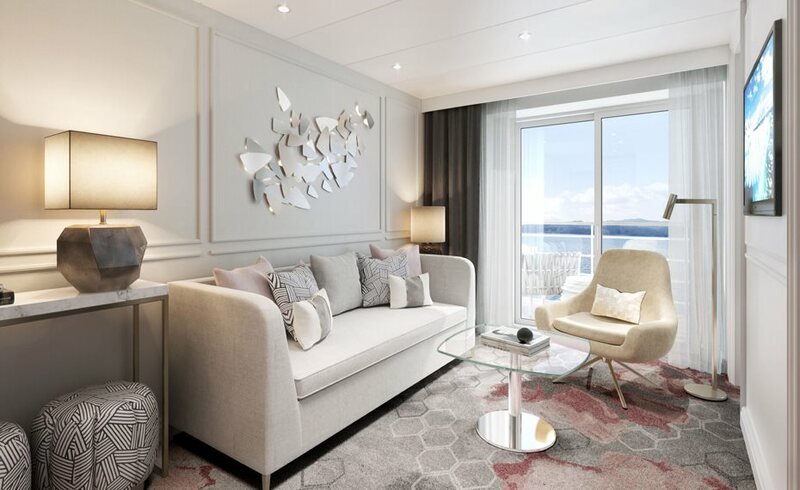 Although large, Crystal Symphony is noteworthy in the luxury market for creating intimate spaces in understated, yet sophisticated, surroundings. 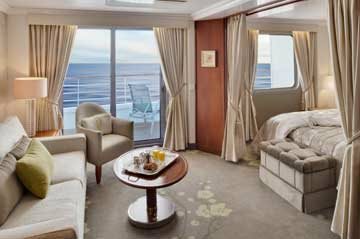 A chic look, and sublime service puts this ship at the forefront of luxury cruising, and the recent enhancements highlight the elegance with 28 new penthouses and 12 penthouse suites with butler service plus better internet connectivity and more access to entertainment and news on demand. 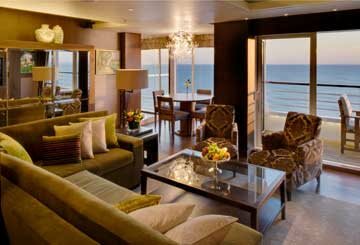 Spacious living room; Dining area; Guest bathroom; Large bedroom; King-size bed or twin beds, and third berth; Master bathroom with Jacuzzi® and ocean view; Separate shower; Bidet; Walk-in closet; Large private verandah; CD player; DVD player; Large flat-screen TV; Refrigerator; Security safe; Cordless phone; Data port for laptop computer hook-up; Complimentary wine plus choice of liquor from set menu upon embarkation; Complimentary soft drinks, beer, and bottled water in the room; Personal butler service; Total area: 982 sq.ft. Sizeable living area; Queen-size bed or twin beds, and third berth; Full Jacuzzi® bathtub; Separate shower; Walk-in closet; Private verandah; Color TV with remote & DVD player; Refrigerator; Security safe; Complimentary wine plus choice of liquor from set menu upon embarkation; Complimentary soft drinks, beer, and bottled water in the room; Personal butler service; Total area: 367 sq.ft. 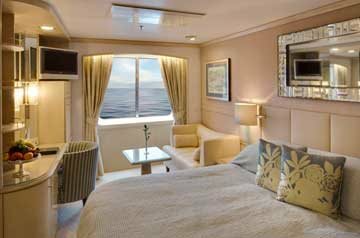 Spacious living area; Queen-size bed or twin beds, and third berth; Full Jacuzzi® bathtub; Separate shower; Bidet; Walk-in closet; Private verandah; CD player; Color TV with remote & DVD player; Refrigerator; Security safe; Complimentary wine plus choice of liquor from set menu upon embarkation; Complimentary soft drinks, beer, and bottled water in the room; Personal butler service; Total area: 491 sq.ft.